The Golf Academy at Ocean Ridge Plantation provides on-site, world-class golf instruction to both residents and the golfing public. Whether you are an absolute beginner or an advanced player, we can help you play better golf and reach your goals. 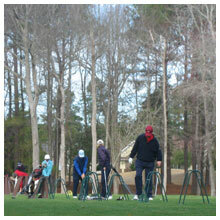 Personalized instruction available daily from our experienced staff of golf professionals. Call 910-287-1703 for inquiries about lessons. Learn how to play golf the fun and relaxing way. Get Golf Ready is designed to teach everything you’ll need to know to play golf in just a few lessons. PGA Professional – Gary Webber will show you there are many ways to enjoy a day at the golf course by combining fun, friends and fitness. 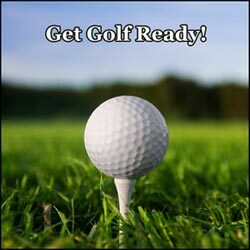 Each session will focus on the various golf skills you will use while playing. In addition to learning the basics, you will be gradually guided onto the golf course to put your skills into action in a casual, friendly setting. Make new friends and experience a beautiful dose of nature and lots of laughs. Get started today and join those already enjoying the greatest game ever played. When: Call or email for our updated schedule. Register by calling Webber Golf at 508-361-0167 today!